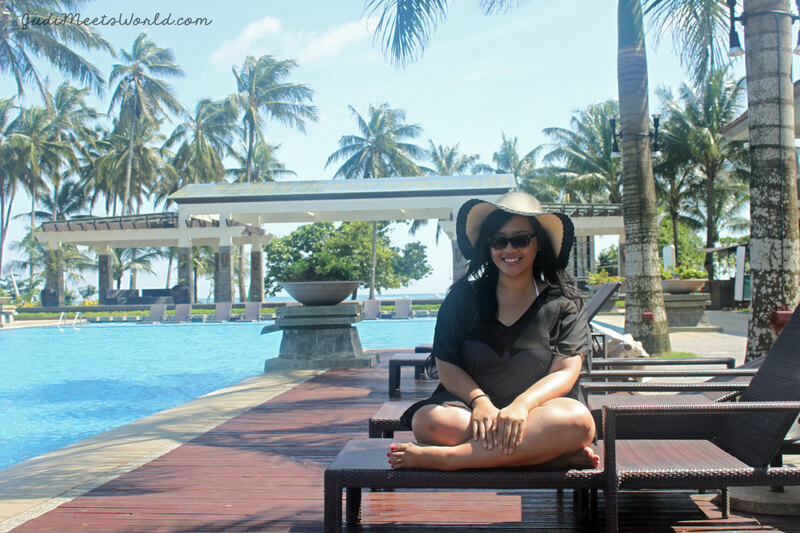 Meet Sheridan Beach Resort & Spa. *** Click here for the anchor page for the Palawan segment of my trip. 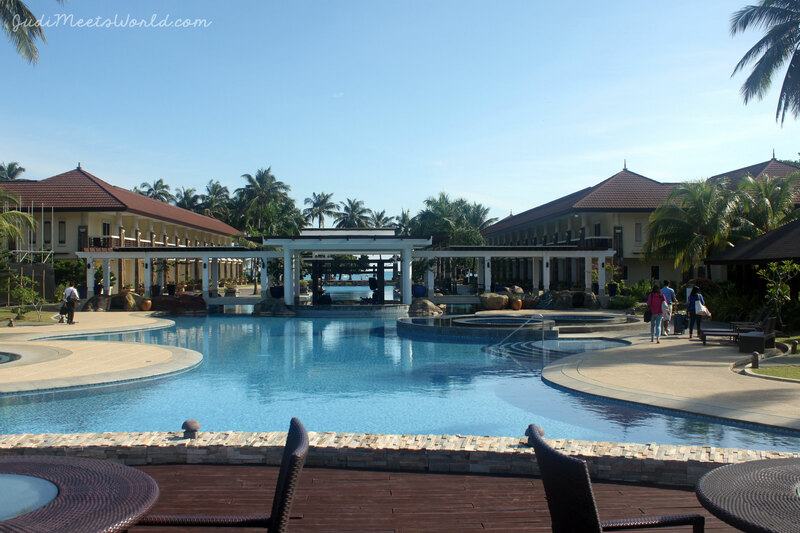 We flew into Puerto Princesa only to get whisked away to Sabang, where this resort is. Sabang is about a 2 hour drive from Puerto, and we had some lovely stopovers to stretch, go to the bathroom, and take in the views. Vegetables are grown in their local organic garden. This hotel really amps up the romance factor in every aspect. 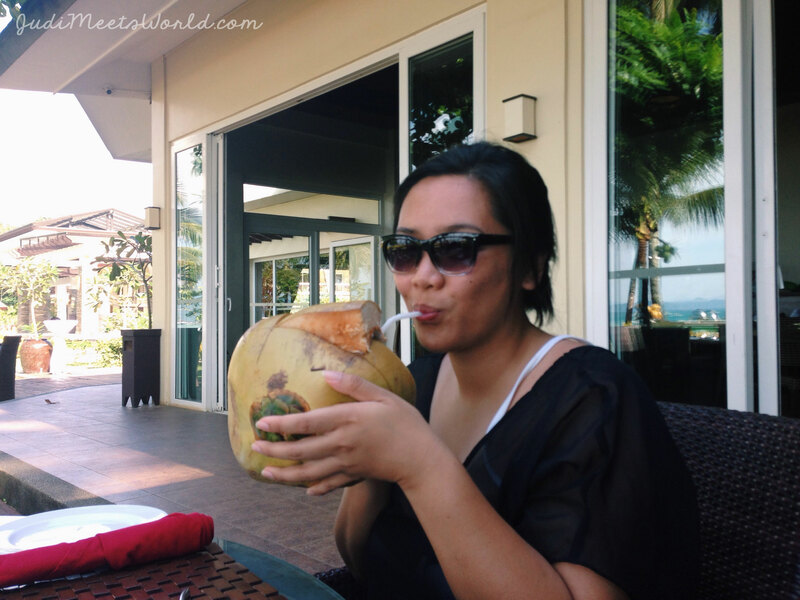 I felt like traveling around Palawan, in general, is like going on a honeymoon. 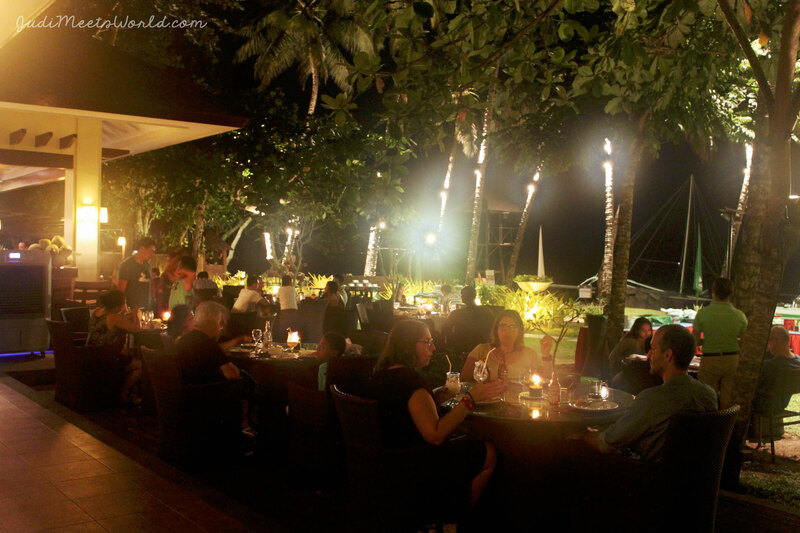 The resort is lit up beautifully at night, and the dining options come with live entertainment. The rooms are spacious and offer a balcony/patio area with a much appreciated drying rack. The Sheridan provided bathrobes and flip flops to roam around in. The minibar/fridge had a lot of options and the spacious bathrooms came with complimentary toothbrushes among the usual free toiletries. There was a complimentary umbrella in case of rainy days along with complimentary flip-flops to wear around the resort. The Sheridan is a beachfront property so every day you could frolic and play in the sea. 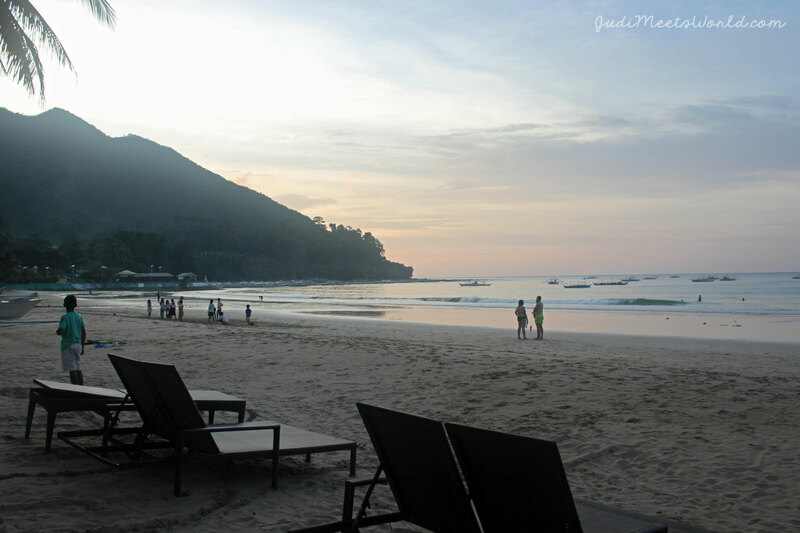 You can witness the gorgeous sunsets, and watch the boats coast by. With views like this, it was truly challenging to say goodbye to Sabang. This pool was ridiculous! You can literally swim from one pool to another under the bridges. There is a swim-up bar to enjoy a cocktail while relaxing in several jet-filled massage tubs. This was a nice alternative to swimming in the ocean when the waves got too rocky. The outdoor gym had a fair selection of equipment and there was also a giant chess set. Sheridan also has a spa that offered various services. 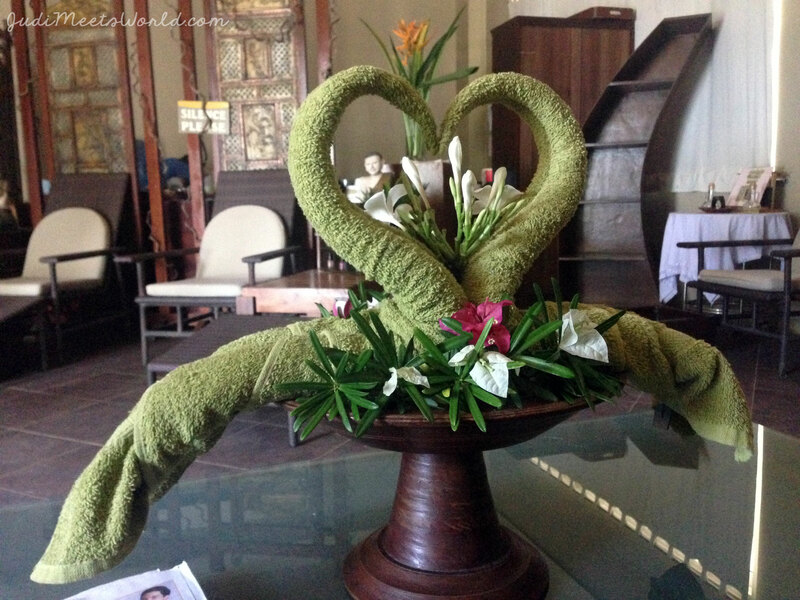 We opted for a facial using natural plants and herbs grown locally in their organic gardens. Movies played nightly on the lawn by the pool. Concierge services had local tours for the same prices as walking into town – but with the advantage of getting picked up early in the morning to beat the rush. We toured the Underground River (about a 30 min boat ride away) and were ushered in right away. We only had to wait 20 mins for our boat versus folks who drove in from hotels in Puerto and had to wait hours for theirs. A buffet breakfast is complimentary with most rates and has an abundance of choices for even the pickiest of eaters. My favourite was the belgian waffle station with unconventional toppings such as ube (taro) and macapuno (coconut) alongside classics such as nutella. As mentioned above, the pool has a swim-up bar where you can order appetizers, cocktails and mocktails while enjoying the amazing water. 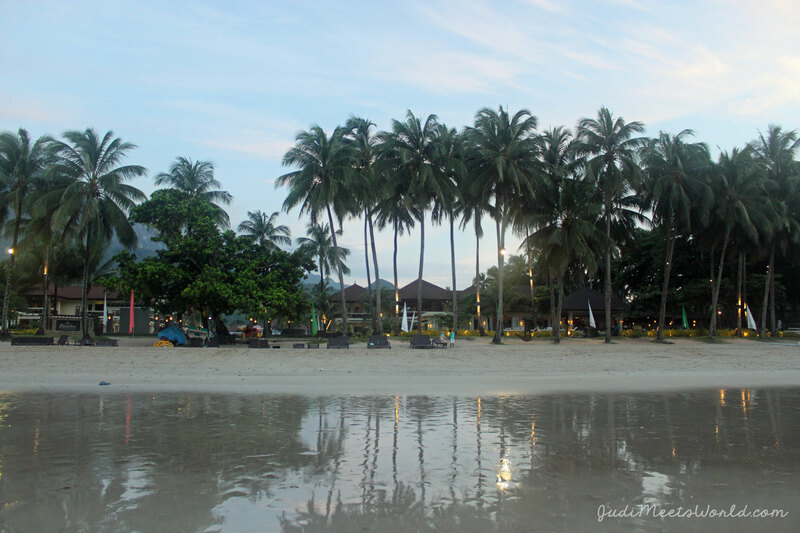 The lunch and dinner options at the hotel were on the fancier end of things, but those looking for a more “local” homecooked dish can take a walk along the beach to the nearby restaurants in the town for more frugal options. The dinner buffet was accompanied by live entertainment each evening (who also took requests)! This hotel is all sorts of romantic. Not a lot of complaints from me. When staying at a luxury accomodation, expect luxury prices. Locals can direct you to where you can get bottled water, snacks, and services such as laundry for a fraction of the price. 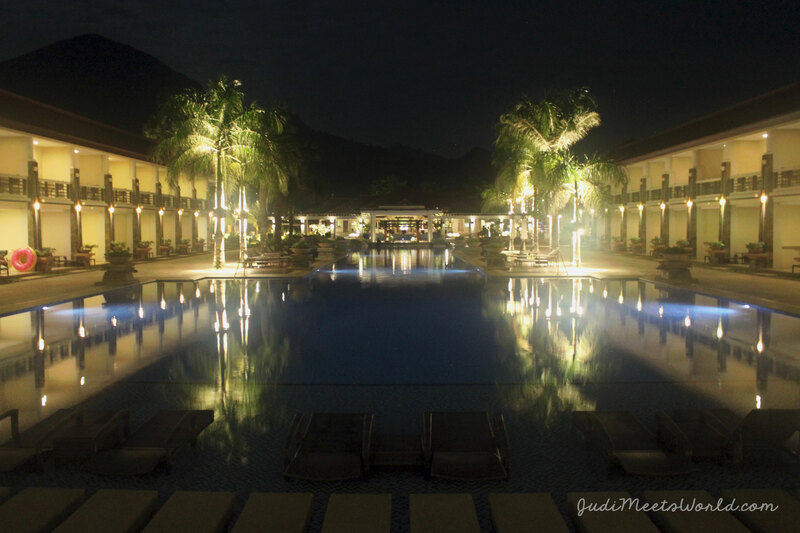 I’d recommend this for families or couples looking for a more secluded, quiet, luxury stay. 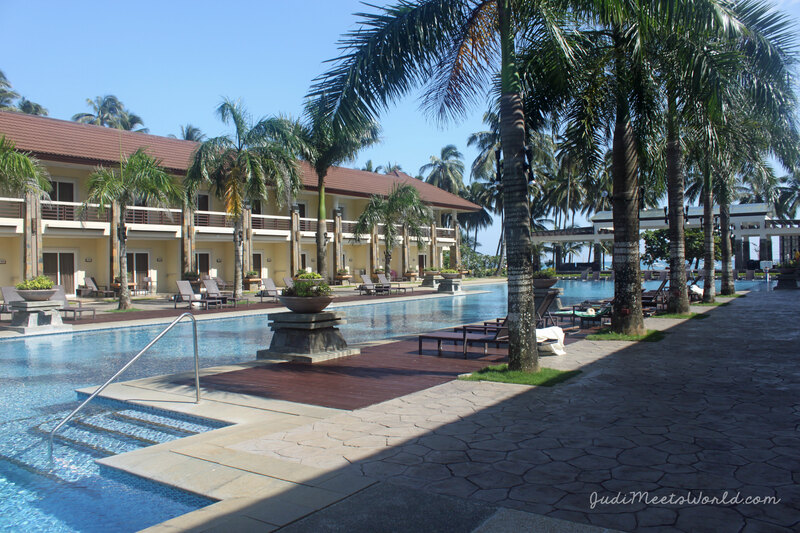 Have you stayed at the Sheridan while in Palawan? How was your experience? Where do you recommend I stay the next time I visit? Connect with me and let me know. Happy travels, everyone!